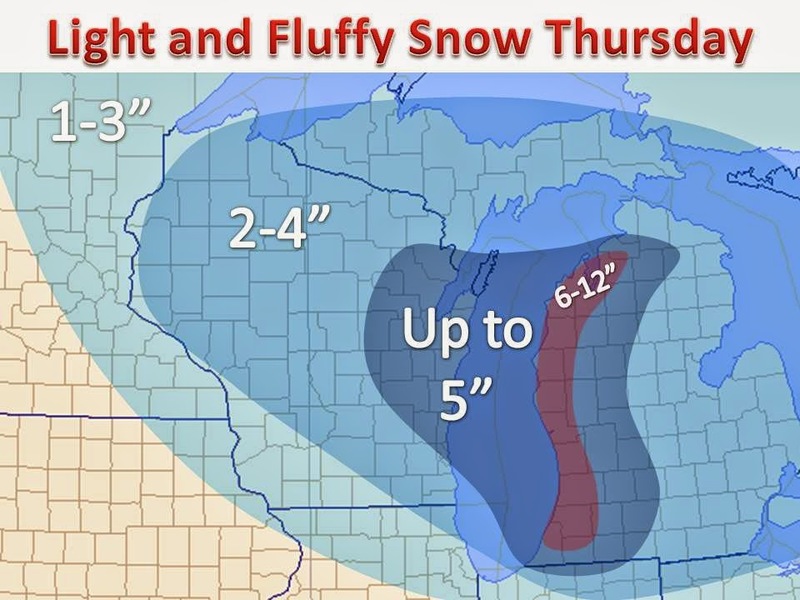 A quick hitting clipper will drop several inches of snow across the Great Lakes. Temperatures and wind chills will continue to be in the dangerous category today. With the air being so cold, the snow that falls will be very light and fluffy, and will blow around through the evening and overnight. Travel will be affected in areas that see accumulating snow, as roads treated with salt, with not be affected. A reinforcing shot of cold air will follow this system, before a warm up by next week.